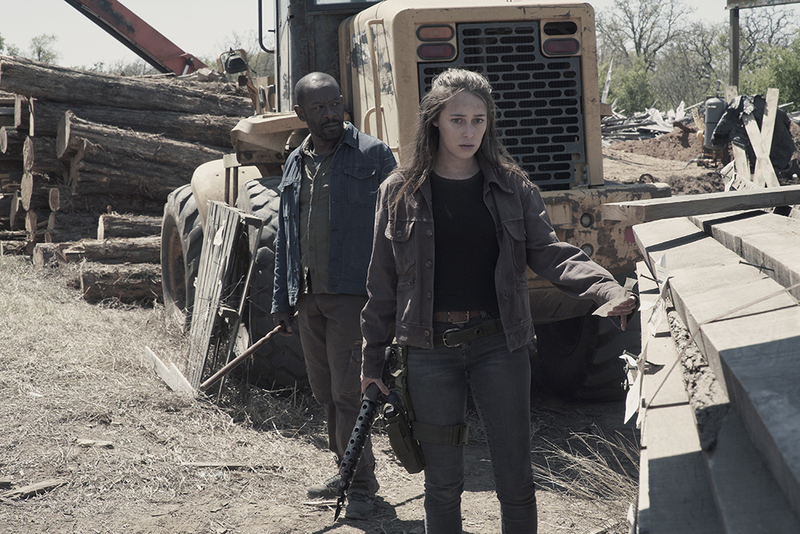 This Saturday at the Television Critics Association summer tour, AMC announced that Fear The Walking Dead, the sister show to The Walking Dead, has been renewed for a fifth season. The horror drama series currently stars Lennie James, Alycia Debnam-Carey, Colman Domingo, Danay Garcia, Garret Dillahunt, Maggie Grace and Jenna Elfman. The Season 5 renewal comes ahead of the mid-Season 4 premiere, airing on Monday 13th August at 2:00am, simultaneous to the US premiere, with a repeat at 9:00pm, exclusive to BT customers. Fear the Walking Dead is executive produced by Scott M. Gimple, showrunners Andrew Chambliss and Ian Goldberg, as well as Robert Kirkman, David Alpert, Gale Anne Hurd and Greg Nicotero. AMC is available free of charge in the UK to BT customers on channel number 332 on BT TV, and to BT Sport Pack subscribers on Sky channel 192. The channel is also available in HD on both BT TV and Satellite with an HD subscription.